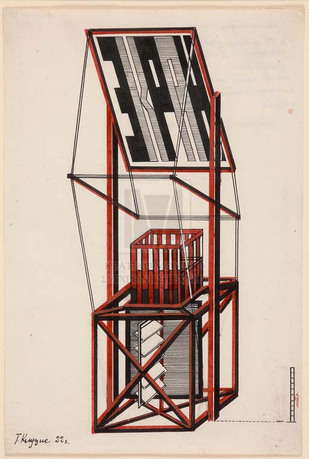 Gustav Klutsis, Untitled (Screen Radio Orator No. 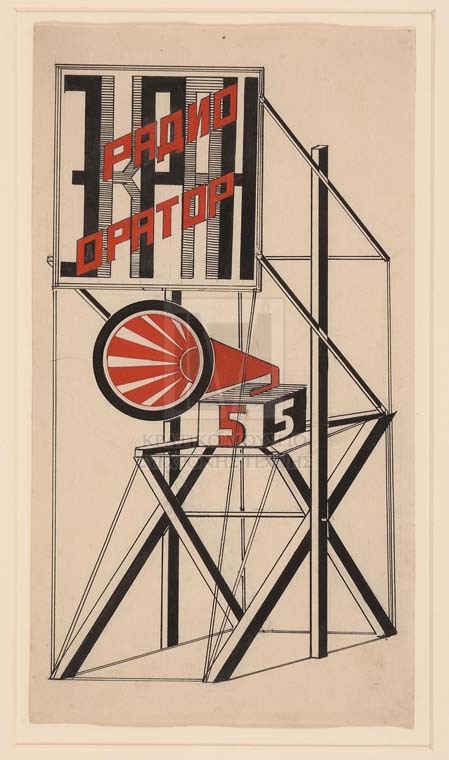 5), 1922, Moscow. Courtesy of the State Museum of Contemporary Art, Thessaloniki. Published on the centenary of the 1917 Revolutions in Russia, this book focuses on a corpus of presentation drawings for new media-driven structures for the revolutionary street: radio-orators, projection screens, advertising stands, slogan signs, and newspaper kiosks. 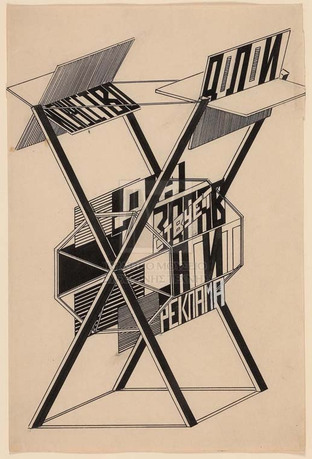 Executed in the early 1920s by Gustav Klutsis (Gustavs Klucis), a Latvian immigrant to Moscow who would later enjoy renown as the leading Soviet photomonteur of the interwar period, these striking drawings have long captivated artists, architects, and designers, due to their optical dynamism and graphic presence, explicit intertwining of radical aesthetics and agitational politics, and perspicacious concatenation of media and small-form architecture for revolutionary purposes. Based on more than a decade of research in archives and museums in Russia, Latvia, Greece, the United States, and the Netherlands, this book offers the first archaeology and sustained interpretation of the corpus in its entirety, shedding major new light on its historical parameters and contemporary significance, as well as the artist's life-long process of form-generation through drawing. Maria Gough is the Joseph Pulitzer, Jr. Professor of Modern Art in the Department of History of Art and Architecture at Harvard University. Her primary area of research is twentieth-century European art, with a particular emphasis on the Russian and Soviet avant-gardes, French modernism, and Weimar aesthetics. She also writes about contemporary art, and her recent publications include "Drawing between Reportage and Memory: Diego Rivera's Moscow Sketchbook" (October; Fall 2013); "Architecture as Such” (Malevich; Tate Modern, 2014) "Model Exhibition" (October; Fall 2014); and "The Newsreader" (On Kawara: Silence; Guggenheim Museum, 2015). She is a recipient of fellowships from the Center for Advanced Study in the Visual Arts, the Getty Grant Program, the Clark Art Institute, Radcliffe Institute for Advanced Study, and the Guggenheim Foundation. Gough is currently completing two manuscripts, one on the para-architectural drawings of Gustav Klutsis, and another on the photographic practices of foreign travelers in the Soviet Union during the 1930s (Travels in Photographic Utopia; University of Chicago Press, 2018).